‘Dandelion Drive’ is the stunning first single lifted from Reverbatory, the new album by Melbourne-based electronica artist Isophene. The track is available to stream via SoundCloud and download via Bandcamp. Reverbatory sees release on October 29th 2018 through Hidden Shoal. Isophene’s music is available for licensing across film, tv, games web and beyond via Hidden Shoal. Contact us for more info. 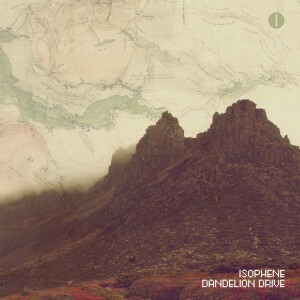 Using ’80s synths, piano, guitar, field recordings and an intricate mix of programmed and live drums, Isophene’s cinematic downtempo music is as lush as it is melodic. Drawing from a similarly vibrant musical palette as Boards of Canada, Helios and Tycho, Isophene immerses the listener in sun-drenched waves of emotive sound. From the languid melancholia of first single ‘Dandelion Drive’ to the widescreen twilight drive of ‘Echo Point’, Reverbatory plays out like a lucid dream. Isophene is the moniker of Melbourne producer Brad Buenen, who creates music from his home studio in the Dandenong Ranges, set amongst towering Mountain Ash rainforests. Reverbatory was lovingly crafted over the course of nearly six years, assisted by producer Tim Johnston (Nick Cave & The Bad Seeds, The Dandy Warhols, The Drones) and mastered by Taylor Deupree. Isophene’s “Reverbatory” Lands in CJSW Top 5!